Trumpeter Ralph Alessi returns to ECM, following his leader debut for the label, with an ace band of pianist Gary Versace, bassist Drew Gress, and drummer Nasheet Waits. This time around, his signature balance of openness and angularity is in fuller effect, made even more prosaic by Versace’s touch. Gress brings his own thorough palette to the studio, while Waits—with whom Alessi first played in Fred Hersch’s quintet—walks a delicate seam both inside and outside the pocket. Over the course of ten originals, Alessi guides his painterly cohort through a gamut of hues. From the primer of “Here Tomorrow,” he moves ever-onward toward the next brushstroke before the current one has even the slightest chance to dry. As a player of genuine dynamism, Alessi treats the melancholy of “Window Goodbyes” (the title references his five-year-old daughter’s habit of waving from the window as he leaves for a tour) and “Shush” with as much rapt attention as any upbeat blending (of which the album is bereft until the closing “Do Over”). The rubato “Smooth Descent” is a wondrous exhibition for Versace and Gress, both of whom widen its scope with every note they choose. “Gone Today, Here Tomorrow” and “Scratch” are the most cubist detours of the set, although both leave plenty of room between Alessi’s blasts of exposition to find our own way. Through it all, he shows narrative purpose in his playing. Whether in the somber intro of “Heist” or colorful exegesis of “I to I,” he understands the value of any language—in this case, music—to provoke meaning in the flesh. We might therefore think of the album’s blushing title track as the trembling of a body, although it makes just as much sense to imagine it as a bag slung across the back, each arrow it holds a melodic weapon rounded to heal rather than harm. 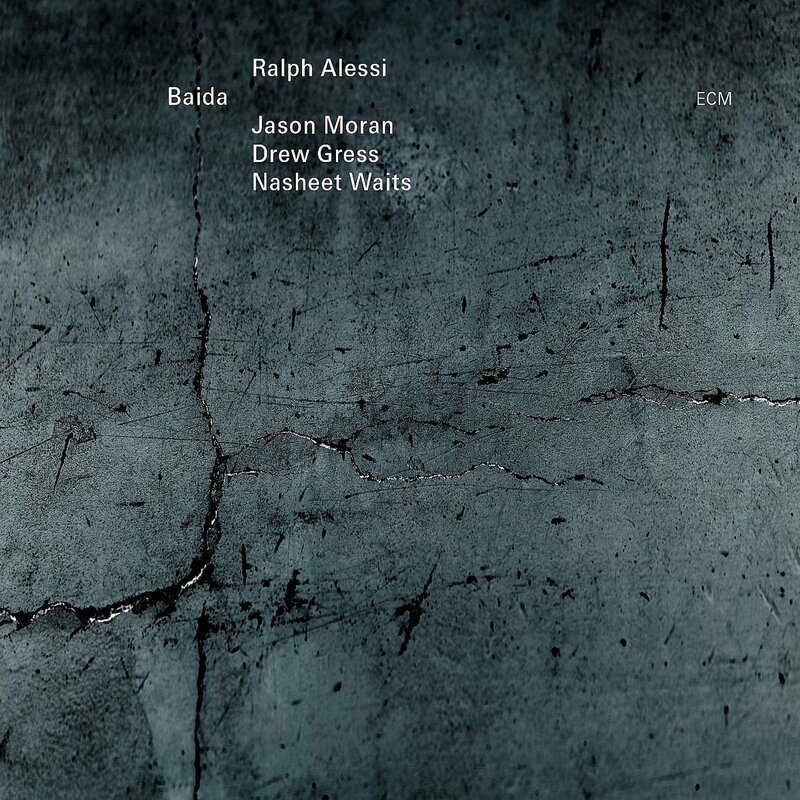 Before making his ECM leader debut with Baida, trumpeter Ralph Alessi had only appeared once for the label on 1997’s underappreciated Circa, with pianist Michael Cain and saxophonist Peter Epstein. More importantly, he had already chiseled a fine reputation for himself on the New York jazz scene as an artist of limitless versatility. At last, those not privy to club appearances can experience his craft wherever exist the means to play an album. 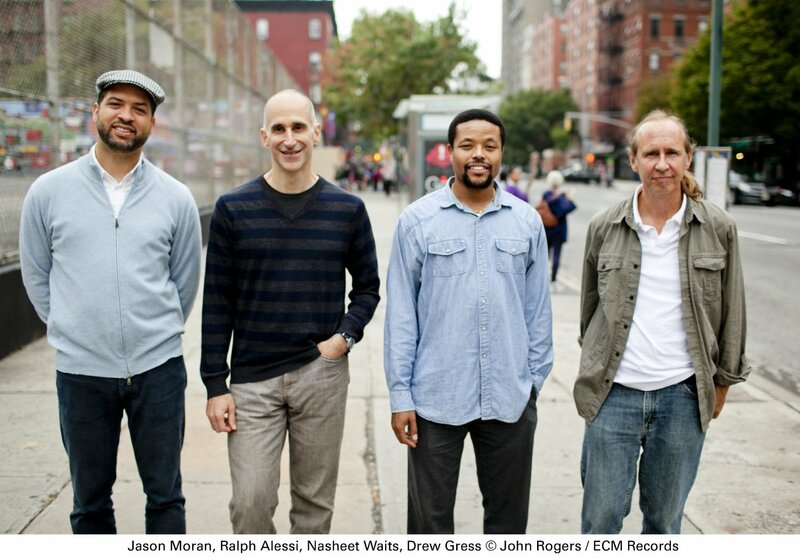 This all-Alessi program takes flight with pianist Jason Moran, bassist Drew Gress, and, in an ECM debut of his own, drummer Nasheet Waits all on board—only here we skip the safety announcement and go straight to the comfort of cruising altitude. The title track opens the album with the rubato, unfastened introduction that has become a defining characteristic of so many ECM jazz sessions. Alessi and Waits walk the aisles with a sputtering yet precise sort of tracery before Gress and Moran sing of destinations not yet reached until the song’s reprise, muted upon landing, gives the all clear. Titles mark each leg of the journey with divergent associations. While “Baida” proudly fronts Alessi’s daughter’s word for “blanket,” “Maria Lydia” names the one woman who would have known his own babble: his mother, gone from this world shortly after the album’s completion. In such beautifully chromatic tunes as this, trumpet aficionados will hardly be able to deny an Enrico Rava influence at work. Neither in the swinging “Chuck Barris,” in which Alessi’s bold finesse, hiply relayed over rolling snare, pays further dues to the Italian master. Here is where the melodic turbulence really sets in as our craft reaches higher velocity speeds, especially in Moran’s solo, a flailing counterpart to Waits’s textured own. As if to belabor the analogy, “In-Flight Entertainment” brings out the band’s most clean-shaven profile and puts Gress in the cockpit. Nearby selections are no less entertaining. The tongue-in-cheek “Gobble Goblins” opens with instrumental laughter from Alessi and Moran, both of whom flex their copiloting skills and, in the balladic “Sanity,” even go blindfolded for a spell. Other slow jams include “Throwing Like A Girl” and “I Go, You Go.” In these Alessi takes a nuanced approach, his every note rippling outward through the backing trio in alluring distortions. But it’s in the subtle under-bite of “Shank” and the rolling thunder of “11/1/10” that the crew puts it all together before making its final descent. Alessi and his band never stray too far off course, flirtation just enough with danger to keep us on our toes while balancing maneuvers as would a skilled chef his flavors. Indeed, in an industry flooded with players who are all sugar, he is that rare combination of savory and sweet that encourages repeat business. Let’s hope that formula holds.